CorkSport's LED light kit replaces the incandescent bulbs for the front and rear dome lights, vanity visor lights, license plate, and trunk lights. The lights are simple to install, with no custom adapters or wiring required. Blue-White Color: 7000k color temperature enhances interior colors compared with the yellow light emitted by incandescent bulbs. Retains the interior dimming: Dimmer light switch is still usable in the Mazda 3. Longer lifespan: LED lights resist shock and vibration better than standard bulbs. Less is more: LED lights generate less heat and have a lower power draw. 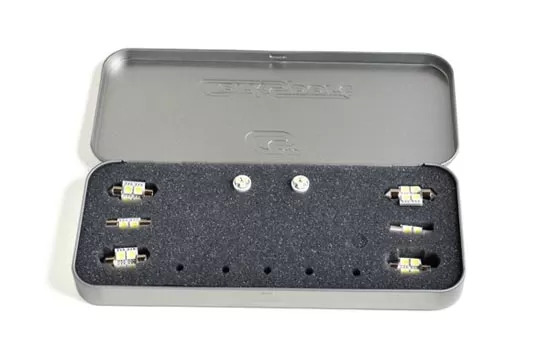 Simple Install: The kit includes 8 LED bulbs and includes vehicle specific installation instructions. Installation of the LED lights takes 30 minutes and requires only a small screwdriver. CorkSport Service and Support:?ÿReceive a 2 year warranty, full color installation instructions, all of the needed installation hardware and knowledgeable telephone support. Agree with all recent posts about ease of install and classy look. Will only add that these are great for interior visibility and clarity in the dark. Bright but not overbearing, simple and easy mod with great utility and appearance. The license plate lights look really cool too. Very simple straight for install, the hardest lights to install are more than likely going to be the rear seating lighting, and the license plate lights. (IMO toughest for me) If you have the plastic panel removing tools you will be fine no need to worry about scuffs or other damage. If using a metal flat head screw driver, I would recommend wrapping the flat head screw driver in clear packing tape (its durable and thin will allow easy access to small crevices.) to prevent scuffing damage to interior and exterior plastics. This also depends on the type of flat head used rough textured or smooth finish. The LED lights provide much more light and have a very clean and clear white glow to them. This is my first modification to my 2015 MZ3. Just finished installing these bad boys within my car. Will be having the girlfriend use her high definition camera to take some decent pictures for CS. Let me say this. Between the packaging itself, the instructions, the 2 YEAR WARRANTY, as well as the visible change in brightness. This is definitely one of those must have upgrades for anybody looking to give their M3 the luxury feel that it deserves. Great job. Great product, took 10 minutes to install all of them. no fitment issues, all the same color, simple easy to understand instructions. Mine came with 9 leds but I'm not sure what the ninth one is for... It's not in the instructions and is unlike the rest. It's a single led and its pictured on the product listing before you click the picture, but on the actual product page it is not pictured lol. Just curios what it might be for. I would recommend this product for sure, it makes the interior feel even more premium than it already is. Definitely a good product, clear and bright LED which will last over time. Easy install and they look great. I think CS did an "excellent" job picking the perfect LEDs for this kit. When i was researching to purchase my LEDs individually there are different styles of LEDs(like COB, Cree, and SMD) that can have stronger lumens in the same bulb size. I'm glad I went with this kit because ALL of the lights are not overbearing and are just the right amount of light needed to have that clean look. THANX CS! The lights arrived quickly and look great on my 2015 3HB! There was one tiny light in the front/center of the kit with nothing noted in the instructions for it. Any idea what that is for? It looks like it is marked T5-1P. Love the look of the lights and easy to install. Map lights flicker ever so slightly when dimming. Add a very clean and bright light to the interior cabin and the LEDs for the license plate are great. My only complaint is that the light for trunk interior is not brighter. Love this product. Nice white lighting throughout car, not to over done. Rear license plate bulbs were slightly tight to fit on my 2014 Mazda 3 Astina Sedan. These lights are very good, except for the rear trunk light. That one is really dim and I'd probably recommend buying an LED bar for that one instead. Love the lights, they look great! I agree with Si Wong, the instructions need to include the sedan, as its not immediately obvious that you have to remove most of the trunk lid liner. Love this Corksport LED light kit. I just received and have almost all of it installed but I am having some trouble with the installation/directions for my license plate lights. Can you help me? I have the 2014 S GT Sedan and can't quite figure how to get the light covers off without breaking them. Any help would be greatly appreciated. Otherwise, everything is awesome! Thanks Corksport! Great lighting! Wish there were instructions for the sedan license plate lights though. Took me a bit longer to figure out how to access them through the trunk lid liner. Any word on the kits being updated for the Sedans? 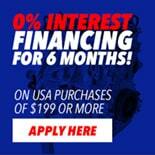 Just got a 2014 Mazda3 sedan for the fiance and want to upgrade the lights. Interior lights look great! Only thing is, the trunk light on my 2014 mazda3 sGT sedan is different than the bulb that the kit came with, and the license plate light covers aren't the same as in the instructions. CorkSport Reply:DH give us a call, we will get you setup. We are changing the kit to have the correct lighting for sedans. Does this kit fit the 2018 Mazda 3 Hatchback? I bought PrecisionLED kit for around $90, last year, and have to keep replacing them cause they tend to start flickering, and not very long after installation. Is this a specific issue with Mazda that I can be sure these bulbs are resistant to? I am not familiar with the bulbs they offer. If they work initially and start flickering after a period of time it would suggest the problem lies with the bulb not the Mazda 3. If you had the problem immediately after installation then I would say the problem would be with the Mazda 3. Will these work in the 2018 models? Would these fit a 2018 3 hatchback? It is fully compatible with Mazda 3 2017 SportSedan? I used an inexpensive led set and the dome light would still glow when they should be off. Would these have the same issue? What makes these different from different sets out there? These will not have this issue. I purchased and installed this product in my 2014 Mazda 3. I am getting a lot of flickering from the map lights and vanity mirrors, is this normal? Can it be corrected? I purchased and installed this kit in my 2014 Mazda 3 but I am experiencing flickering from the map and vanity bulbs? Is this a common issue? Can it be fixed? How bright are the LEDs (lumen rating)? They are 20 lumen per individual LED. The HB and sedans use a different trunk LED so the kit includes both to cover all models.